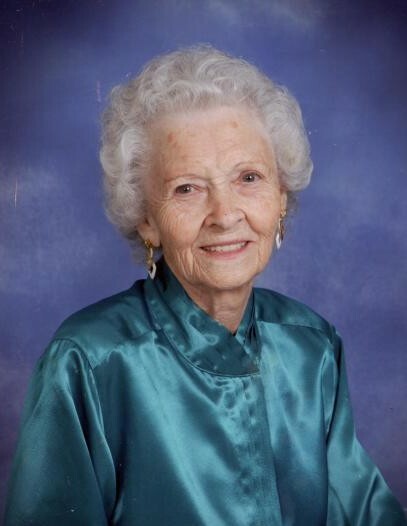 Hattie Louise Cooler Daring, 97, of Ridgeland, SC passed away Saturday, November 10, 2018 at Ridgeland Nursing Center. She was born on August 16, 1921 in Hardeeville, SC to the late Arthur Edward and Viola Brabham Cooler. Ms. Daring was a caring person who always sacrificed for others and put their needs before her own. She was a member of Red Dam Baptist Church in Hardeeville, loved puzzle books and gardening, and was an excellent cook who made sure everyone had something to eat. Ms. Daring is survived by two sons, Joseph Daring (Rose) and Marion “Bo” Mathis (Bonnie); one brother, Arthur Cooler, Jr.; one sister, Evelyn Harvey; five grandchildren, Bobby Daring, Brenda Daring, Caitlin Shier (Jimmy), Angelica Mathis (Brant) and Bethany Mathis; and three great grandchildren, Mark Daring, Bobby Daring, and Bentley Wynn. She was predeceased by her husband, Joseph Samuel Daring. A funeral service will be held at 4:00 pm, Friday, November 16, 2018 at Red Dam Baptist Church, 488 Red Dam Church Road, Hardeeville, SC with interment following in Red Dam Baptist Church Cemetery. The family will receive friends one hour prior to the service at the church.